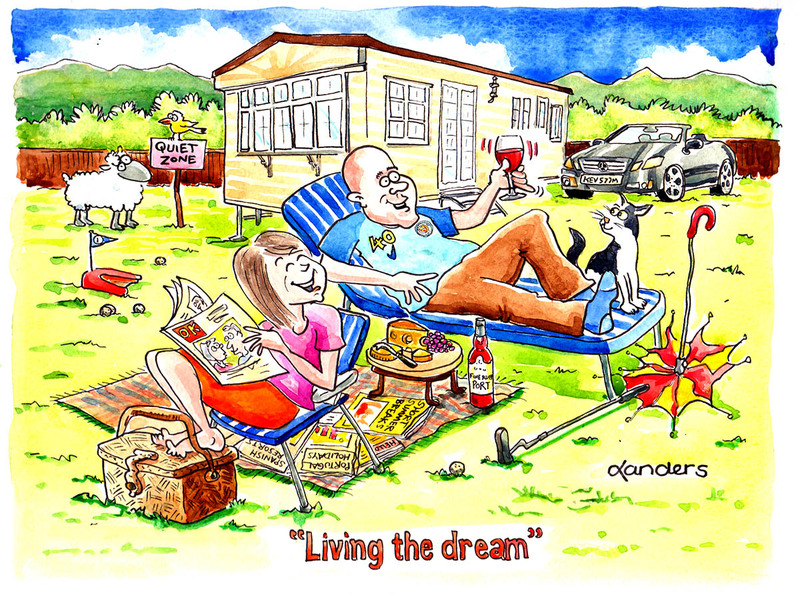 I have been producing funny customised cartoons for my customers for many years. 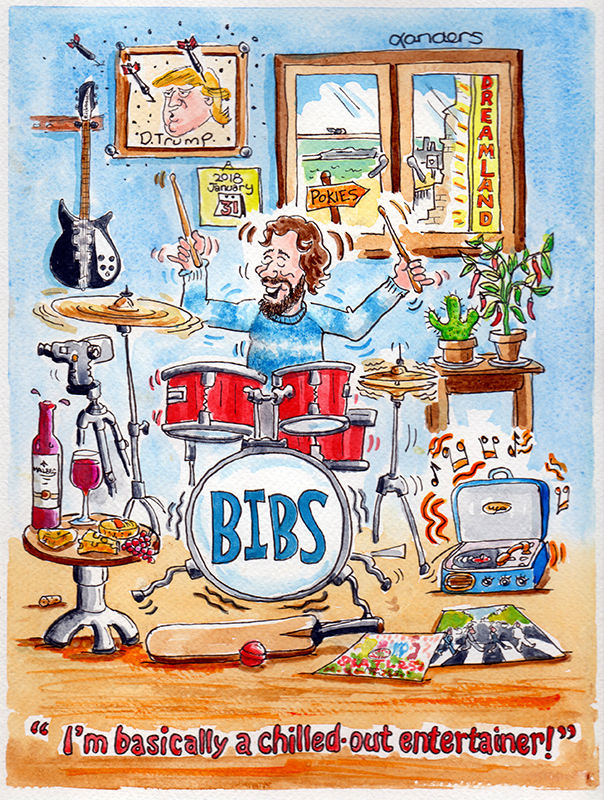 CONTACT me on the tab above and I will be happy to guide you through the whole process of creating your perfect gift cartoon from start to finish. 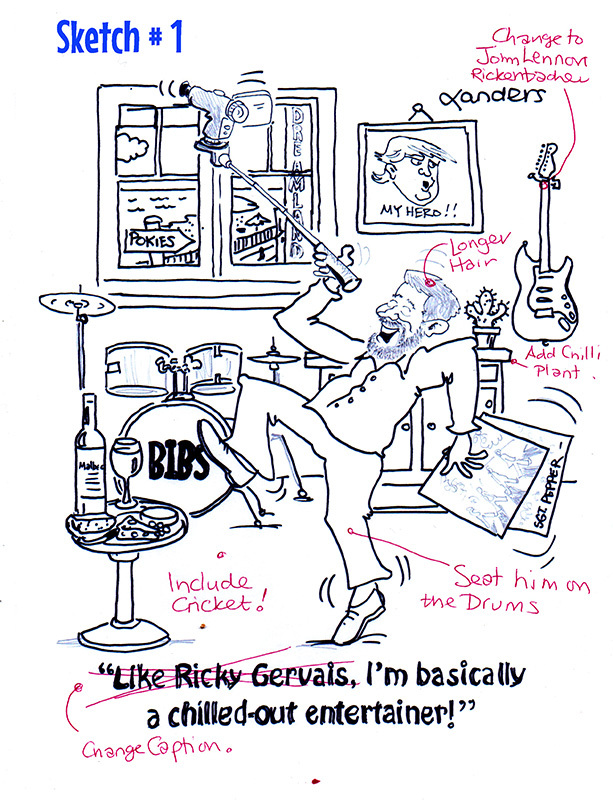 Here are some handy points to consider before contacting me to commission your cartoon………………. If you have some good photos, send them along. But before you do, let me offer you some pointers. Sounds crazy, but please select only the photos that look like your subject – remember, you know what they look like, but I wouldn’t be able to determine the best pose. The best choice of photos are ones that show as much facial detail as possible – avoid face-on shots. Avoid hats, sunglasses, dark shadowy photos, tiny images, heavy sunlit photos where your subject is squinting. Please click here PhotosDosAndDonts to download a quick guide of best shots to consider. 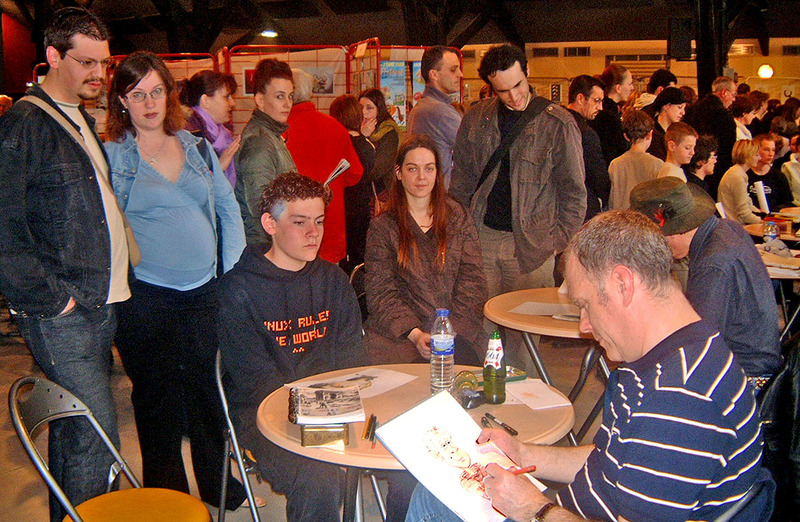 Once I’ve received your photos and commission details, I can start to produce one or two rough sketch images. At this stage, this is where all the rough layout design work takes place. I use the best of your ideas (if not all of them) to produce this first rough drawing/s. If any changes need to take place, it’s at this stage where it happens. A Happy Customer every time. 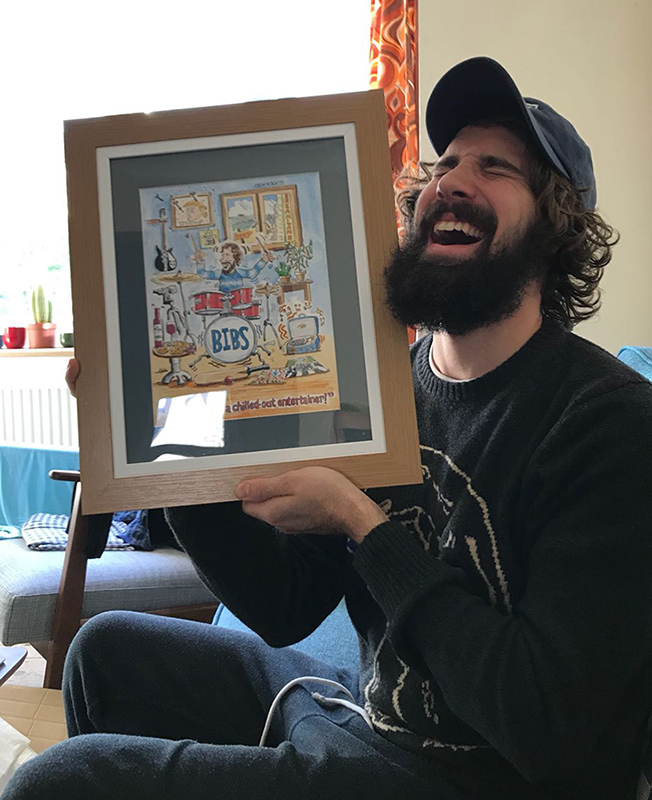 See how happy he is to receive his very own ‘Landers’ original cartoon artwork! 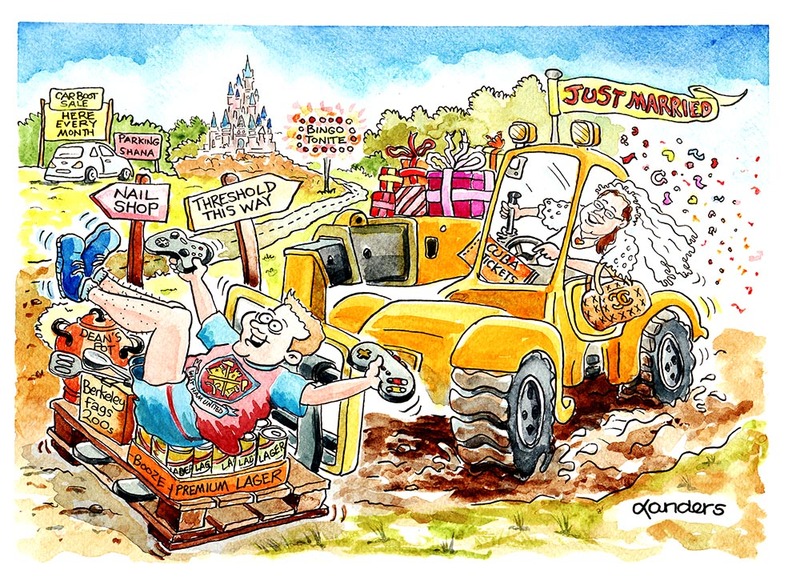 Custom cartoons make a fantastic gift for someone who is celebrating a birthday, getting married, retiring from work, getting promotion or just moving on. 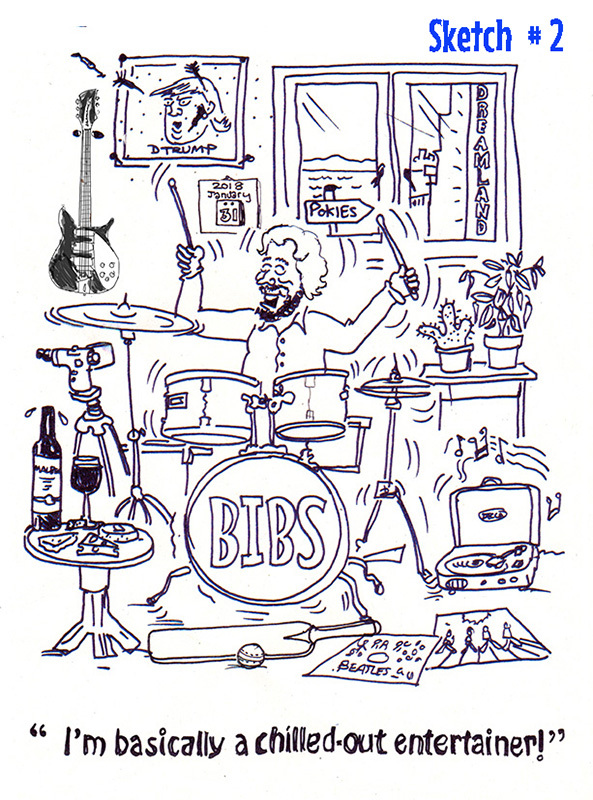 Contact me today to see how my cartoons can be used to give a unique gift.